On invitation of the Portuguese Meteorological and Geophysical Association 100 experts from many different institutions discussed risks that are connected to meteorological and geophysical phenomena. It also marked the 20th anniversary of the APMG. 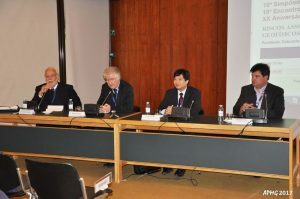 The Portuguese Meteorological and Geophysical Association (APMG) held its 10th Symposium with the main theme “Risks Associated to Meteorological and Geophysical Phenomena”. The meeting took place in Lisbon, 20-22 March 2017, and included the 18th Portuguese-Spanish Meeting of Meteorology as well as the celebration of the 20th anniversary of APMG. The Symposium was attended by more than 100 experts from different institutions, namely the Portuguese Institute for Sea and Atmosphere (IPMA), the Spanish State Agency of Meteorology (AEMET), and Spanish and Portuguese universities and Institutes. Invited lectures were given by the Chief of the Disaster Risk Reduction Services Division of WMO, Mr. Alasdair Hainsworth, and the Chief of the Earthquake Hazard Research Division of the National Disaster Management Institute (NDMI), Dr. Oh Keumho, who have delivered, respectively, presentations on Multi-Hazard Early Warning Systems and on the South Korea’s Policy and Research Direction for Earthquake Hazard Resilience. The president of the Spanish Association of Meteorology (AME) was represented by Mr. Alejandro Roa, Head of the Area of Prediction Techniques and Applications of AEMET. 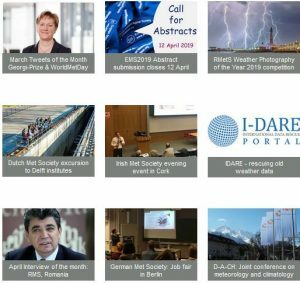 The theme and topics incited a large interest in the community of meteorologists and geophysicists; and also the international collaboration contributed to the success of this meeting.